Canada Pension Plan (CPP) disability benefits are intended for, and available to Canadians who have regularly made CPP contributions and are now unable to work due to a medical condition such as a serious injury or illness. CPP disability benefits may also be paid to dependant children. 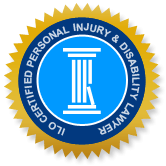 Individuals who apply for CPP disability benefits generally don’t have individual or group disability insurance, either privately or from their employer. Unfortunately, many Canadians who deserve to receive CPP disability benefits have their application for benefits denied after paying into the Canada Pension Plan for many years. In response to a recent report by Canada’s Auditor General, the Canadian Labour Congress, in “Canada Pension Plan Disability is failing many of the most vulnerable Canadians” (February 2016), warns that the majority of initial applications for benefits are denied and Canadians who appeal their denial often have to wait years to receive a decision from the Social Security Tribunal (SST). The president of the Canadian Labour Congress calls it a disgrace to make Canadians with severe and long-term disabilities experience long delays to find out whether they are eligible for benefits. Some of these CPPD applicants are suffering from terminal illnesses such as cancer or very serious conditions such as Schizophrenia, Alzheimer’s and Parkinson’s Disease. To be eligible for CPP disability benefits, an individual’s disability must be both ‘severe’ and ‘prolonged’, and must prevent them from working in any occupation on a regular basis. A ‘severe’ disability is a physical or mental disability that prevents a person from performing any type of gainful employment. A ‘prolonged’ disability goes on indefinitely and long-term, and includes a condition that will likely result in death. A July 2014 Globe and Mail article, titled “Seven reasons why disabled Canadians are losing CPP benefits”, highlights a number of hurdles for people trying to appeal decisions. One of the key issues that can cause problems for many people, is that eligibility is largely based on employability, rather than on a medical condition, which means that you must prove that your disability prevents you from regularly pursuing substantially gainful work. Other problems that can lead to a denied application are: a lack of clarity in the rules, cumbersome paperwork, and when an applicant fails to obtain and forward the required medical and employment information. Consider the fact that the application kit includes 8 documents 42 pages-long, and imagine the difficulty of getting everything right in such a lengthy document, particularly when you are suffering from a serious illness or injury. The huge backlog in appeals also creates further hurdles and financial burden for individuals who wish to appeal the original decision. If the new Tribunal believes the appeal has no reasonable chance of being successful, it can summarily dismiss the appealed application. This is one of the reasons why it’s very important to be forthright and include all the appropriate medical and employment-related documents when you request reconsideration of your application. Don’t give up if your CPPD application was denied, particularly when you consider that more than half of initial applications are being denied. Everyone has the right to request reconsideration of their application to the Minister of Employment and Social Development Canada (ESDC). When a CPP disability application is reconsidered, it is assessed by different ESDC staff than your original application. And if you are not satisfied with the ESDC decision, you can then appeal to the General Division of the Social Security Tribunal (SST). All appeals must be made in writing. Very often, application errors or inadequate information can be corrected on appeal and you can receive the benefits you deserve, particularly with the help of an experienced long-term disability benefits lawyer at Burn Tucker Lachaîne. Over the years, we have helped many Canadians successfully appeal a denied application for owed CPP disability benefits. If your CPP application is denied, the following are some of the important steps that must be taken in appealing the decision. Don’t miss the appeal deadline. Applicants have 90 days to appeal a denied CPP disability benefit in writing, from the date the decision was received. Late appeals are sometimes allowed, but only for good reason. Supply all missing information and documents, and correct any errors flagged on the original application. A common problem is failing to include required medical evidence, such as x-rays or a CT scan. A ‘complete’ application is requisite for a successful appeal. It is key that your application communicates your physical and functional limitations, with respect to your daily life and particularly, in your inability to work. In is important to stay in contact with Canada Pension Plan Disability and ensure that they have your correct personal information, including your address and phone number, and let them know if you’re waiting for medical tests or reports from your physician. Keep a copy of all reports and communications submitted to, and received from CPP Disability, including physician’s reports. This includes keeping a record of what was discussed in phone calls, if any. Unfortunately, sometimes CPP disability staff ask questions that, if answered in a certain way, give them the grounds to deny a claim. For this reason, it is in your best interests to have an experienced representative at Injury Lawyers of Ontario on your side.